John Willis Good (1845 - 1879) was one of very few English Animalier sculptors. 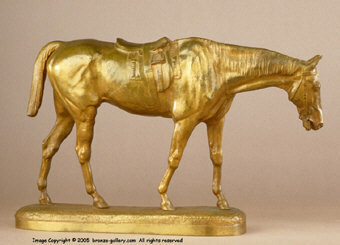 He exhibited his works at the Royal Academy in London from 1870 until just before his death at age 34 in 1879. 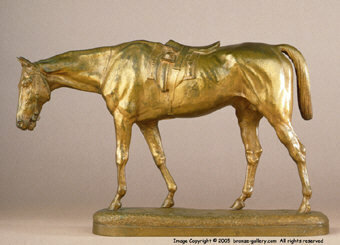 He was very popular among those involved with horse racing and many of his works are of race horses of the day. Good also did commissioned portraits of his patron's favorite steeds. 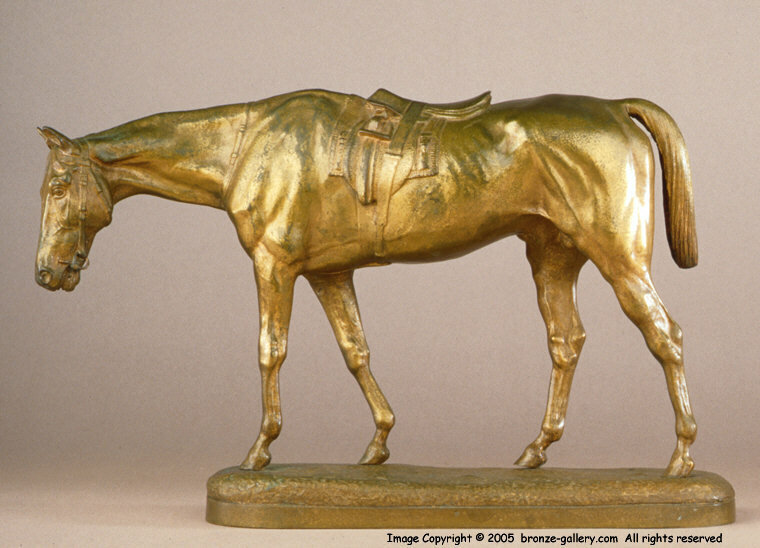 His sculptures are not found very often and are highly sought after by collectors of equestrian sculpture.